We’ve had another hot day here in New Zealand. The weather people keep saying it’s going to rain but it hasn’t happened yet. Bella has taken to sleeping on the tiles at the front door (which is generally open) or she sleeps upside down with all her legs sticking in the air. In the middle of the day we’ve been giving her an ice block to help her cool down. 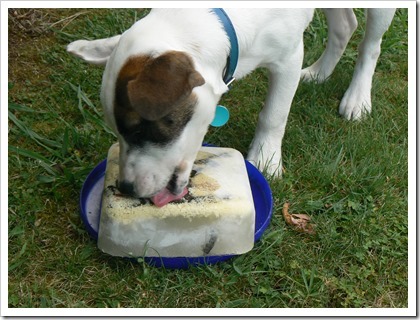 I blogged about ice blocks for dogs a few years ago. 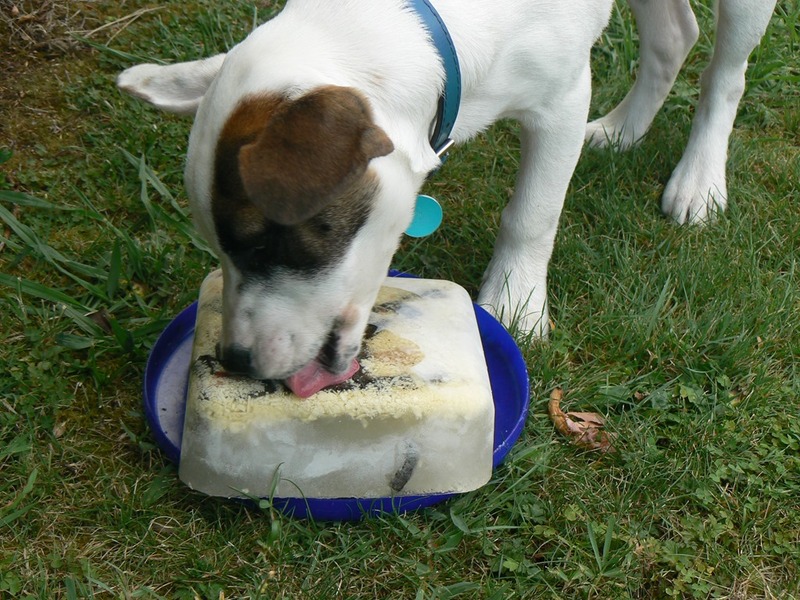 You can find the dog ice block post here. My sister murders electrical appliances. It’s becoming a family joke. She’ll purchase a phone or a television or a computer and something goes wrong with it. The battery dies, it blows up or mysteriously stops working. She’s never rough with her gadgets, but for some reason they whimper and die after living at her house. Last year my husband purchased a new iPad, and he gave his old one to my sister. She hadn’t used it until this week when her Android tablet stopped charging without warning. “All I want is a gadget to read my books on,” my sister said. So I talked her through how to delete hubby’s books and get her books onto the iPad. The next problem was a wi-fi connection because that isn’t working either at my sister’s place. I tell you – she’s hell on anything related to a gadget or appliance. Their phone is very unpredictable too! Today she rang me to let me know she’d managed to download all her books. The off button still wasn’t working but the ipad flicks off after five minutes. She’s a happy camper. We’ve decided I need to write a character who suffers from the same malady as my sister, and I think I have just the heroine. I feel sorry for her now! Do you have problems like my sister with gadgets? Do you know anyone else with the same problem? 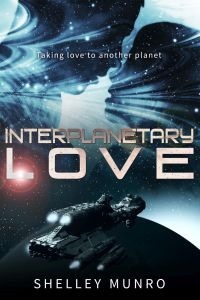 As a romance author, I believe in happy relationships and happy endings. I live them everyday while write and reading my books. While some humans are monogamous, there is an equal number of those who cheat or move on to another partner for one reason or another. 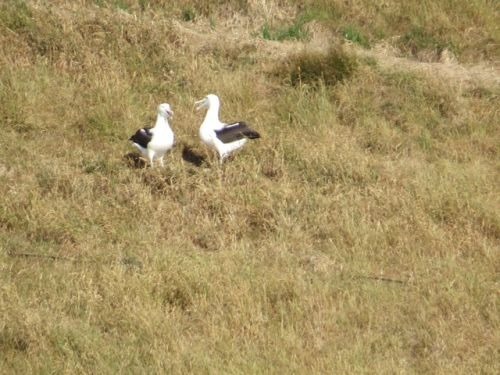 The other day I was thinking about this and wondered what other animals or birds mated for life. 2. Wolves, which makes the werewolf the perfect hero/heroine in a romance novel. 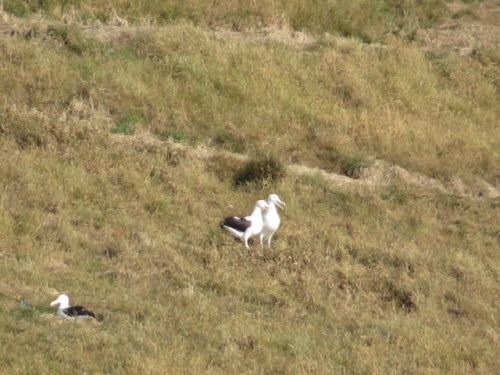 Like humans there are exceptions with the above birds and animals, but generally the creatures in this list stay with the same mate throughout their lives. 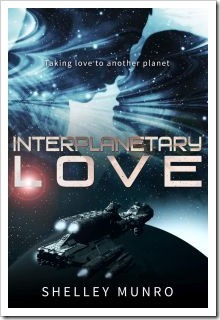 You already know I adore a happy ever after story. When you read a book featuring romantic elements, do you enjoy cliffhanger endings, or do you like all the plot strands to tie up and the characters to walk off into the sunset together? I visited one of the Revive restaurants in Auckland last week and had this salad as part of my lunch. It was delicious. 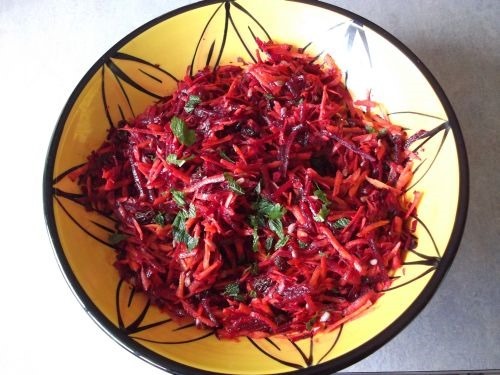 On my arrival home, I checked the Revive cookbook I had and was delighted to find the recipe for the salad I’d enjoyed so much. 1. Place the sultanas in a bowl and pour on some boiling water. 2. 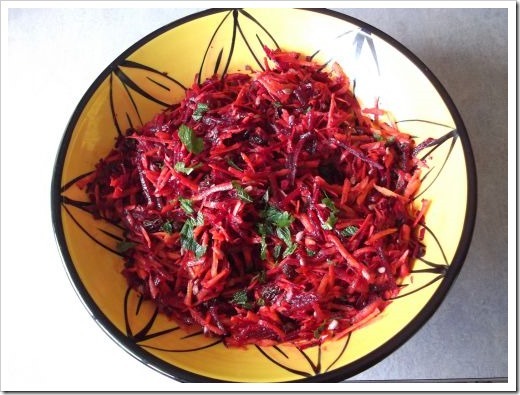 Grate the carrot and the beetroot. 3. Mix all the dressing ingredients together. 4. Drain the water off the sultanas. Add these plus the sunflower seeds to the carrot/beetroot mix. 5. Pour over the dressing, combine and serve. 1. I think when I make this recipe again I’ll replace the orange with lemon because I like a less sweet flavor. 2. I reduced the amount of honey and salt in my dressing. 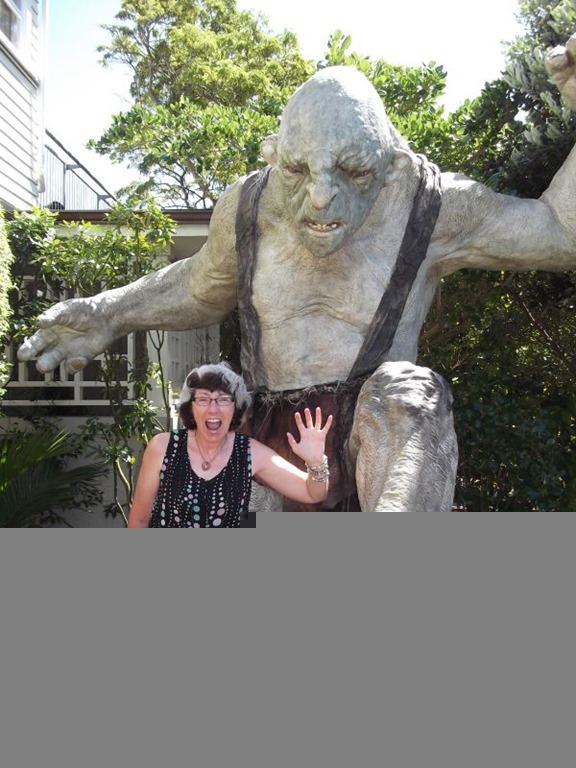 Anyone who is interested in movie special effects will have heard about the award-winning Weta Studios. They’ve been involved with many movies and TV shows including the Lord of the Rings movies, King Kong, Avatar to mention a few and more recently Thunderbirds. Weta Studios was started in 1987 by Richard Taylor and Tania Rodger. They initially worked out of their Wellington apartment. 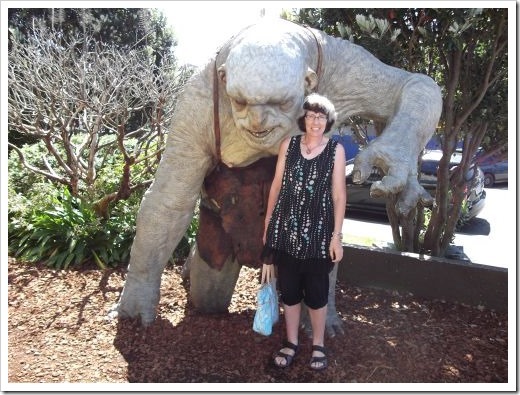 It’s free to visit their shop and view many collectibles plus watch a movie detailing the origins and different things they work on at Weta. It’s also possible to do a tour, but since many of the things they work on are proprietary, only a small portion of the actual studio is accessible. 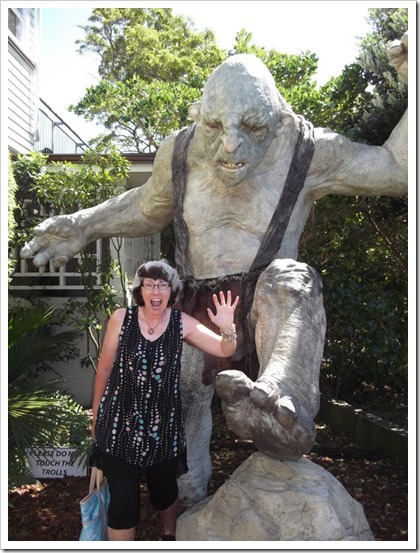 On arrival at the shop, you’re greeted by these huge trolls. I’m 5’ 9” so that should give you an idea of how big they are. 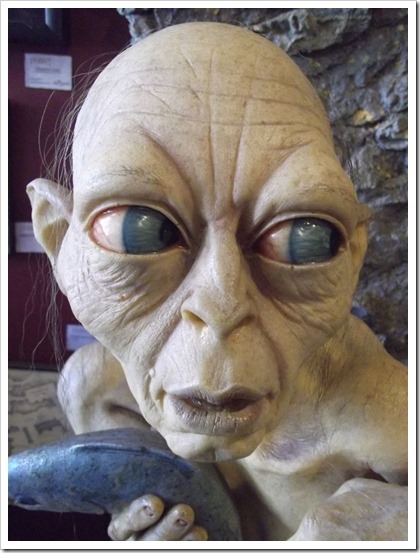 Gollum – this model was just amazing. The face looks so real as does the fish he’s holding. 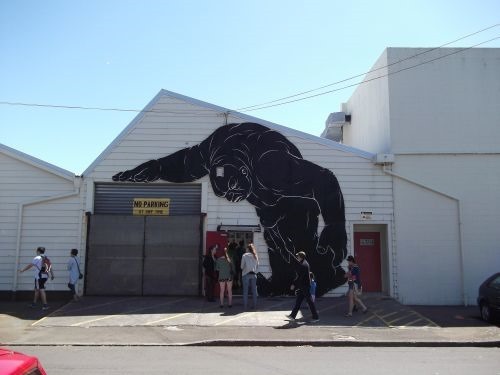 The entrance to the studio, which is guarded by a huge genie! The movie we were shown contained glimpses of special effects and indicated what some of the talented people work on each day. It must be such a fun job. The tasks ranged from making armor and working with leather to making swords, designing computer graphics and so much more. I have to admit I have a fondness for action movies, and I always enjoy the special effects such as explosions and the fight scenes, especially those where the actors wear armor. I watched The Mummy movies again a few weeks ago. All those creepy mummies and the insects, the sand storms and plane flights. Good fun! What is your favorite movie when it comes to special effects? 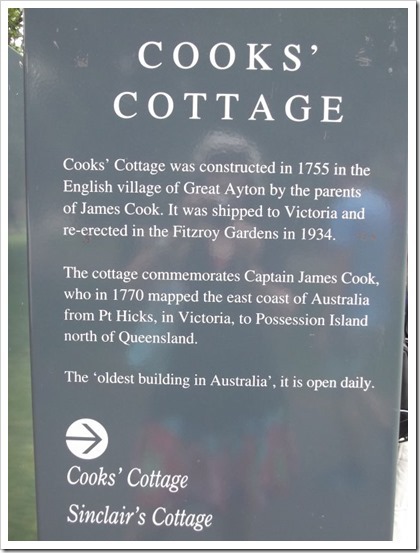 During our recent visit to Melbourne, Australia we visited Captain Cook’s cottage in Fitzroy Gardens. 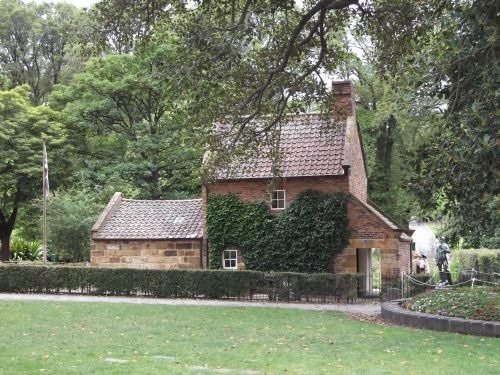 This cottage, built in 1755, is the oldest building in Australia, and although it is called Captain Cook’s cottage, the building was actually owned by his parents. 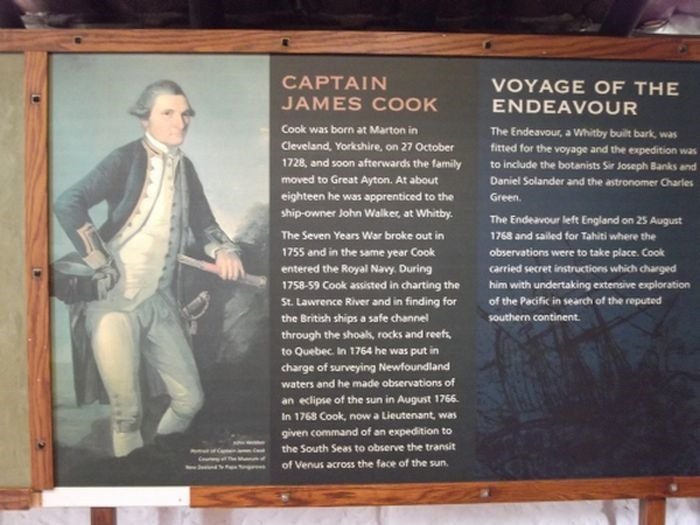 It is thought that James Cook did spend some time there during his holidays. The cottage originally stood in Yorkshire, and when it came up for sale in 1934 Sir Russell Grimwade purchased the building. 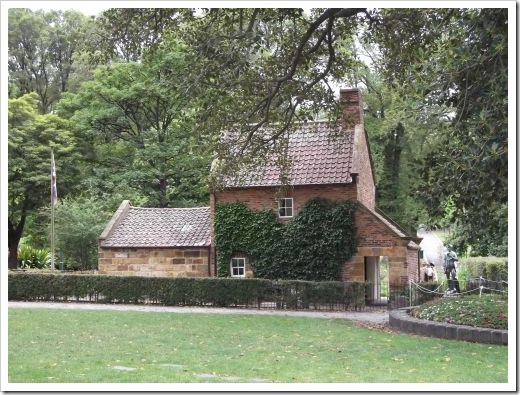 The brick cottage was dismantled, each brick labeled and shipped to Australia. 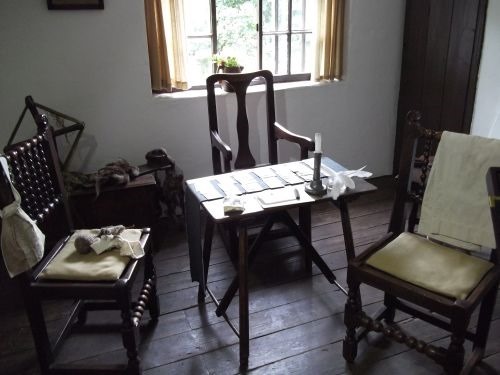 On arrival, the cottage was reassembled. 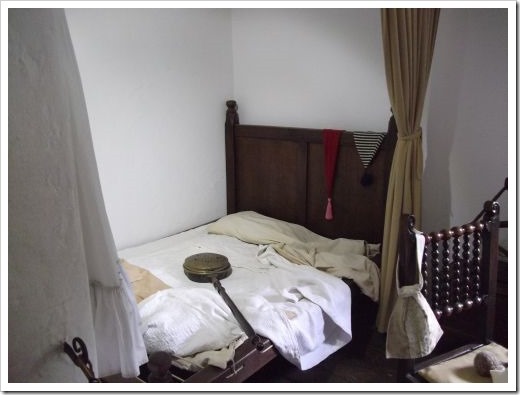 These days the cottage is a tourist attraction with the rooms furnished in a typical style. 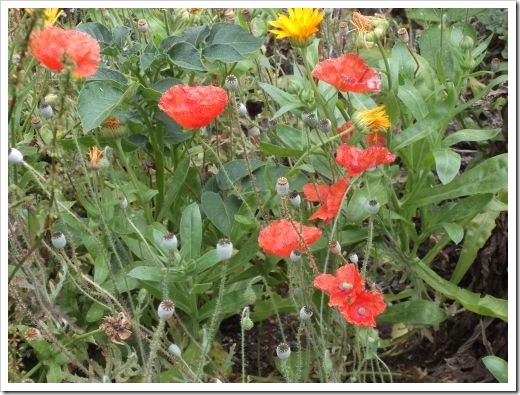 The cottage is surrounded by a cottage garden containing flowers and vegetables. 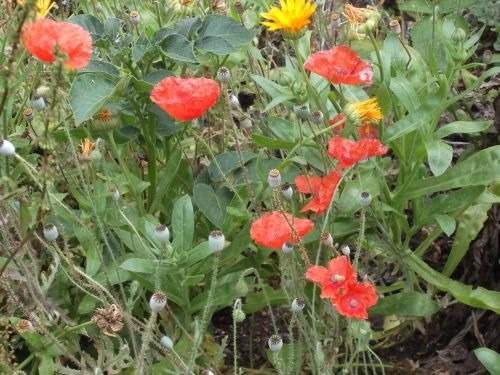 Part of the cottage garden. Ground floor interior. Lounge room. Parents’ bedroom, off the lounge. 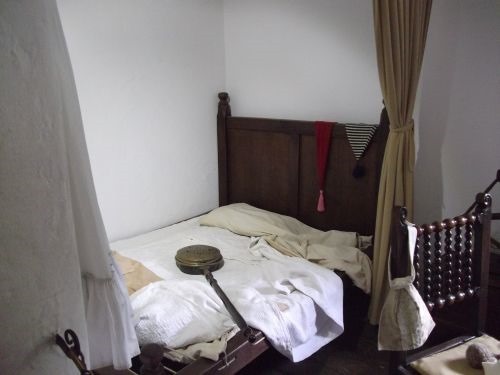 At night the curtains would be pulled for privacy. 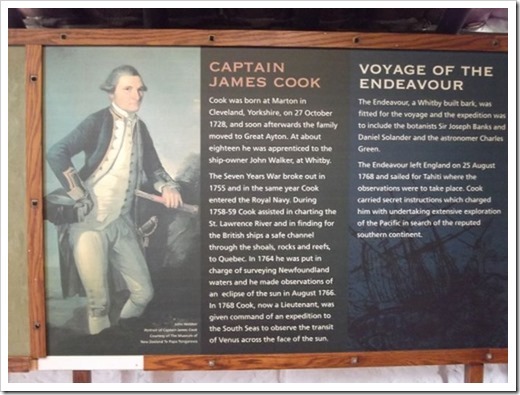 Captain Cook is an important part of New Zealand and Australian history. 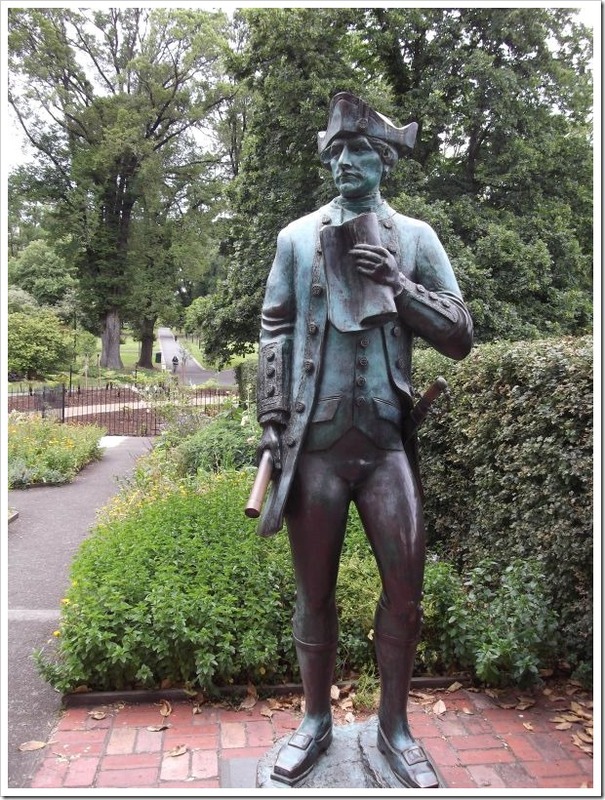 He visited New Zealand three times, charted much of our coast line and named many of the coastal landmarks. 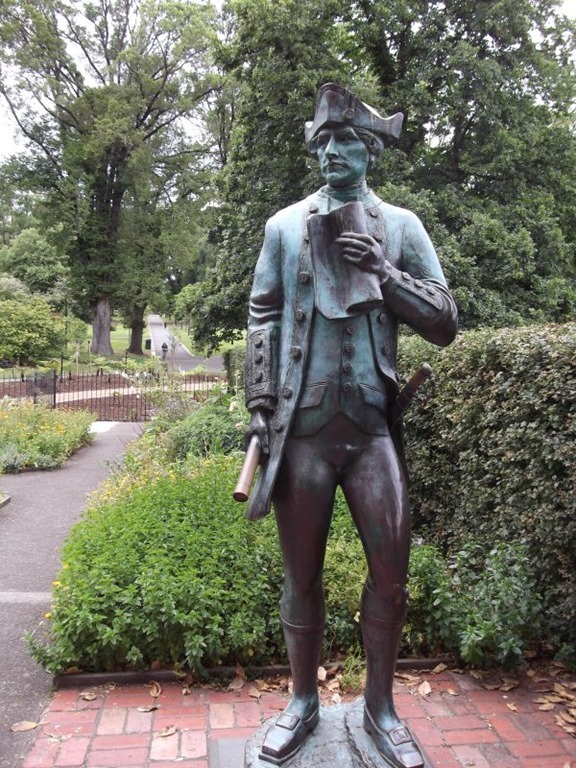 He also discovered and charted the Australian east coast and named it New South Wales. 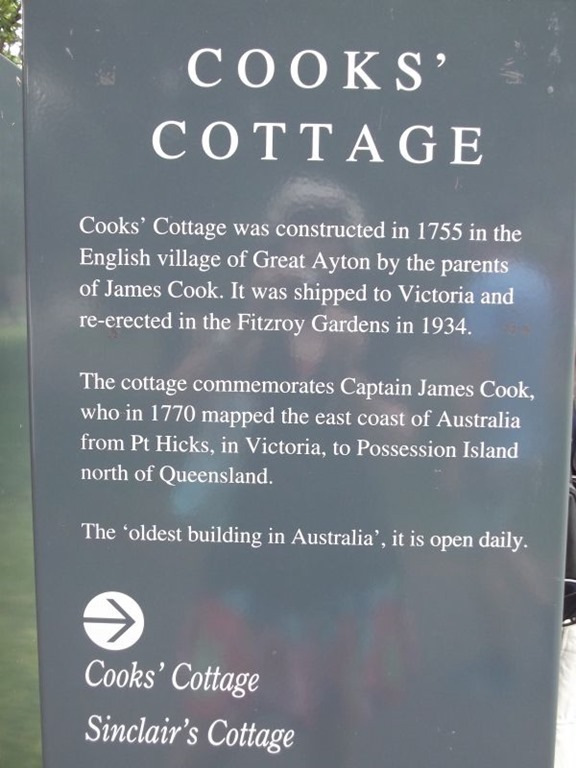 If you’re ever in Melbourne Cook’s cottage is an interesting place to visit. I recommend it. 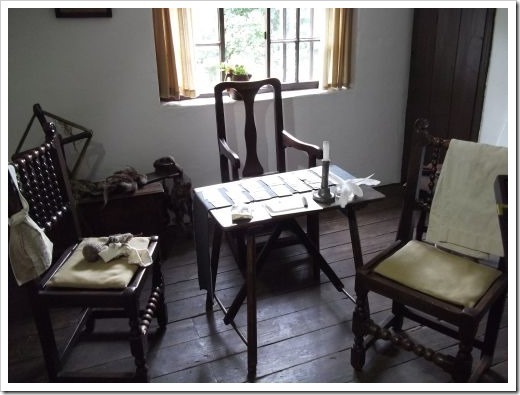 Do you enjoy visiting historical houses? Do you have a favorite? Egypt: Worthy of a Painting! We visited Egypt quite a few years ago now and had a brilliant time. Egypt is a country full of fascinating history. Mummies. I gravitate to them in museums! But I was also taken by the scenery. 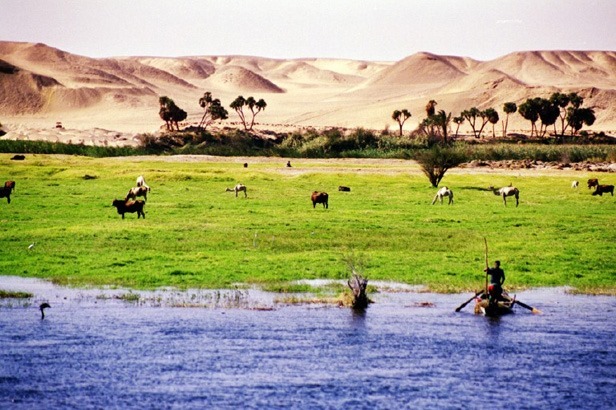 The Nile, which is like a backbone, provides a lifeline for the people living along its banks. They rely on the water in the river to irrigate their crops and to feed their animals. There is a distinct band of green on both sides of the river. Farther away, the dryness of the desert takes over. It makes for an interesting photo—one of big contrasts. 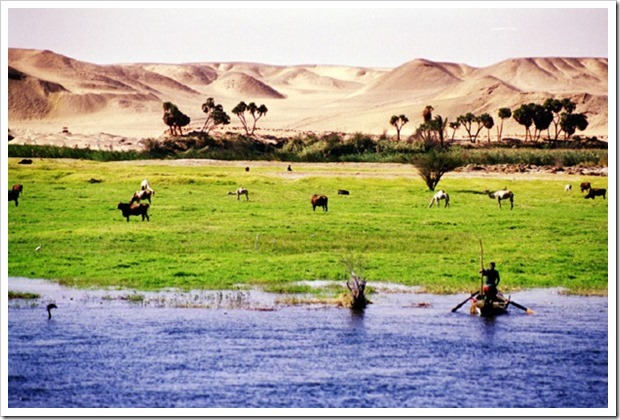 This is the view we saw from our boat as we sailed down the Nile from Luxor to Aswan. Isn’t it amazing? Almost like a painting, but I can assure you this is real. I have a new release – a boxed set of my contemporary romances called Ain’t Misbehaving. 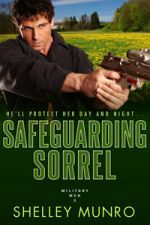 So far this set is available at All Romance ebooks. It should be available at other online retailers very soon. Have you been to Egypt? Do mummies fascinate you? And a question about boxed sets – do you read all the books contained in a boxed set or do you just read the ones that interest you? 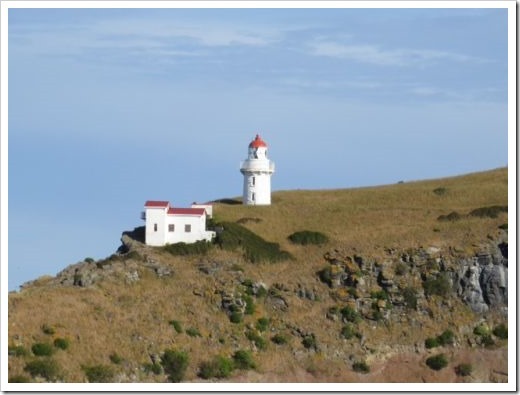 The Otago Peninsula – World Famous! 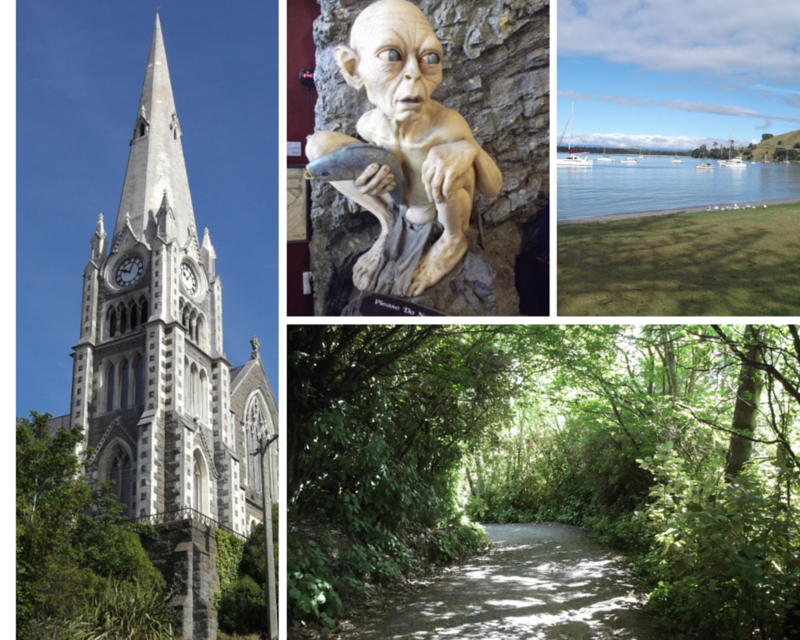 On Christmas day we spent time in Port Chalmers. 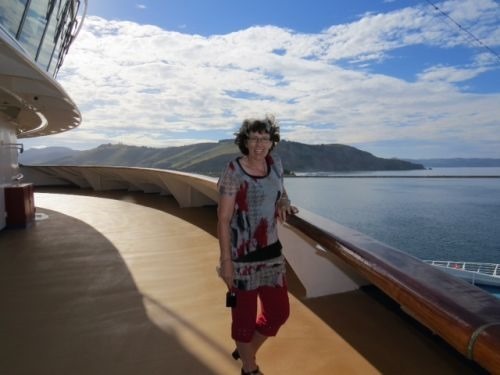 The sail away was beautiful with fine weather – very different from the last time we were there when the peninsula was covered with fog and visibility was nil! 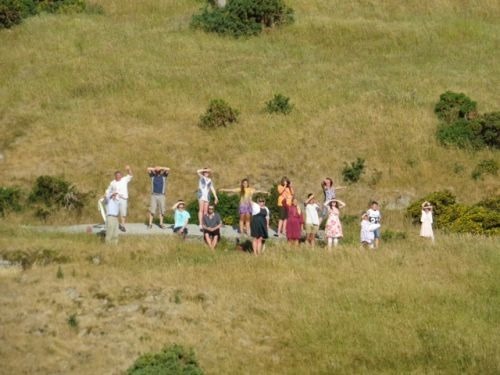 The scenery was gorgeous – blue skies and this group of people cheering and waving as the cruise ship sailed past. You get an idea of the scenery. New Zealand really is pretty. I hope you all get an opportunity to visit one day. 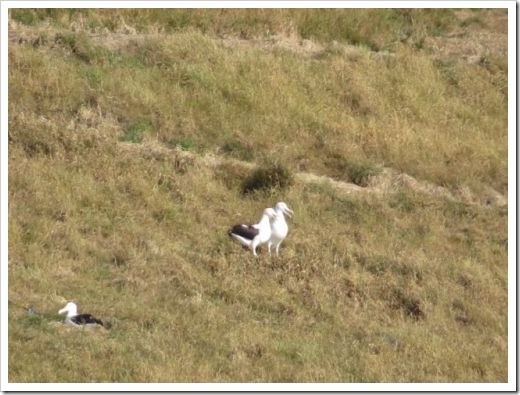 The Otago peninsula is special because it’s the only mainland colony of the Royal Albatross. 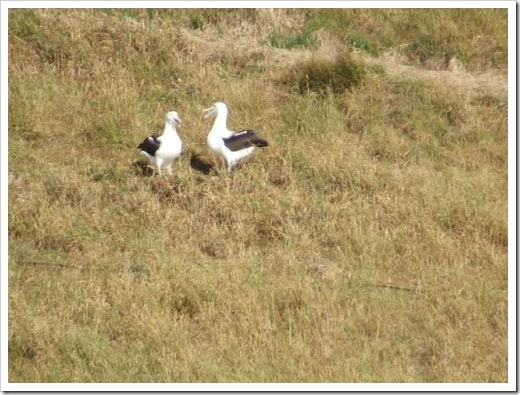 Hubby took some awesome long range photos of the albatross on their nesting sites. An albatross flies for long distances across the seas and oceans, but they always return to the same place and the same partner. Isn’t that romantic? A matched pair…yes, I think that’s romantic. 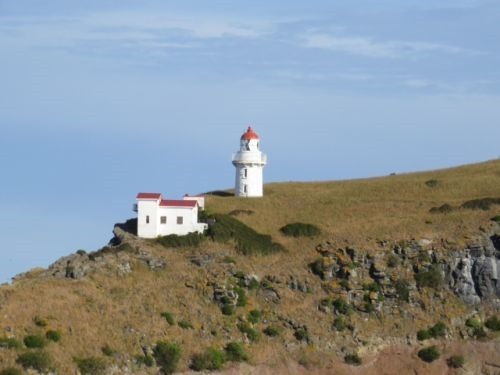 At the farthest point of the peninsula there is a lighthouse, shown below. 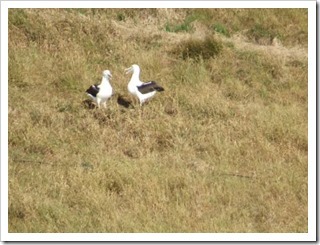 The endangered yellow-eyed penguin also makes its home on the Otago peninsula, although we didn’t see any of those. Is New Zealand on your bucket list? As me some questions or tell me where you’d like to visit first when you come. Making a List, Checkin it Twice! I’ve participated in Thursday Thirteen for quite a few years now. I’m shifting things up a little this year – changing the rules. Instead of doing a list of thirteen items each week, I intend to vary the length of my list. 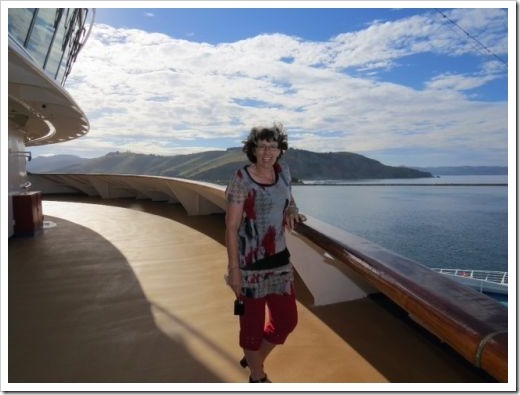 Hubby and I ran away for Christmas and took a cruise around New Zealand and over to Melbourne in Australia. 2. 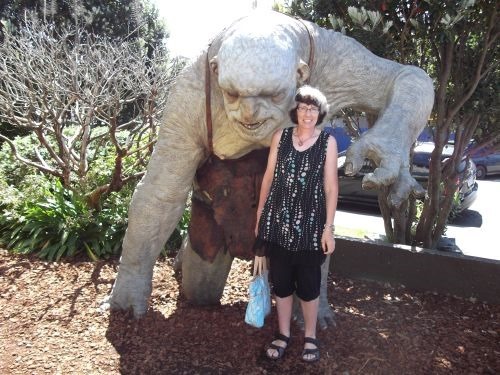 During our stop at Wellington, we visited the Weta Workshop, famous for all the movie special effects. 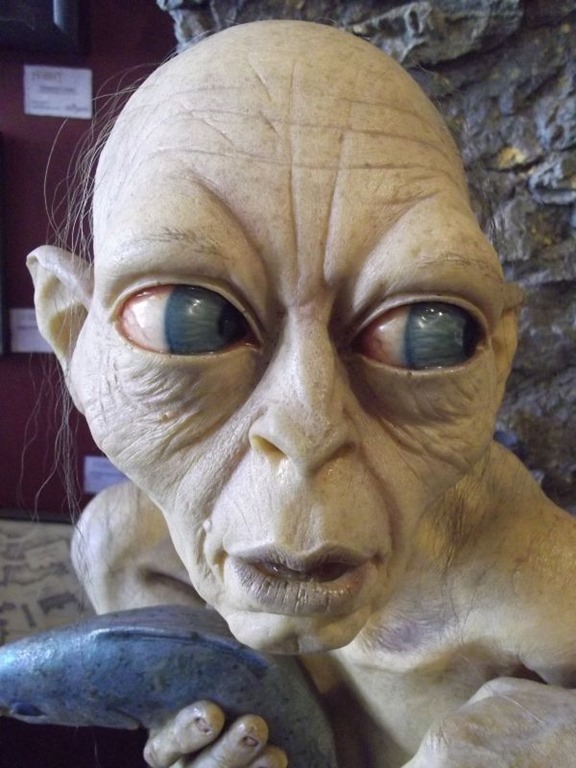 This is Golem from Lord of the Rings. 3. 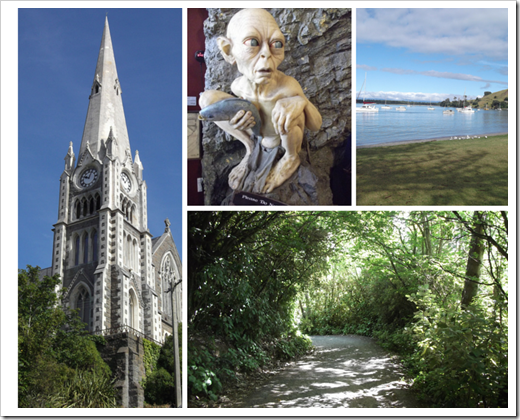 On Christmas day, we stopped at Port Chalmers, not far from Dunedin in the South Island. With not much open, we decided to go for a walk to counteract those Christmas goodies. We took photos of the Holy Trinity church. 4. 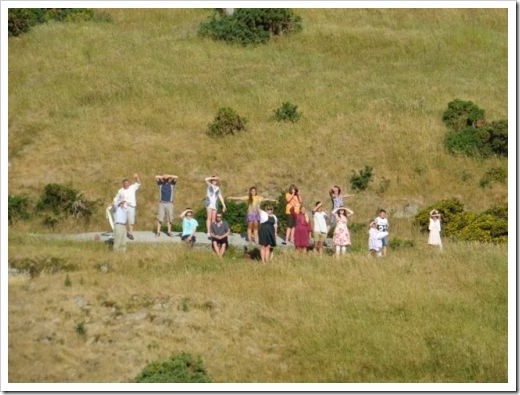 Our walk took us upward as we tackled a hill. The road down was through shady bush. 5. The seas became rougher after Christmas day as a storm passed. The dining rooms were quieter and many people were sea sick. I didn’t get sick but I “visited” the middle of the ship because the range of motion is less there. The glass of ginger ale helped to settle my stomach too! What did you do over your Christmas break?